Oakland Unite > News and Events > Summer is Here!!! 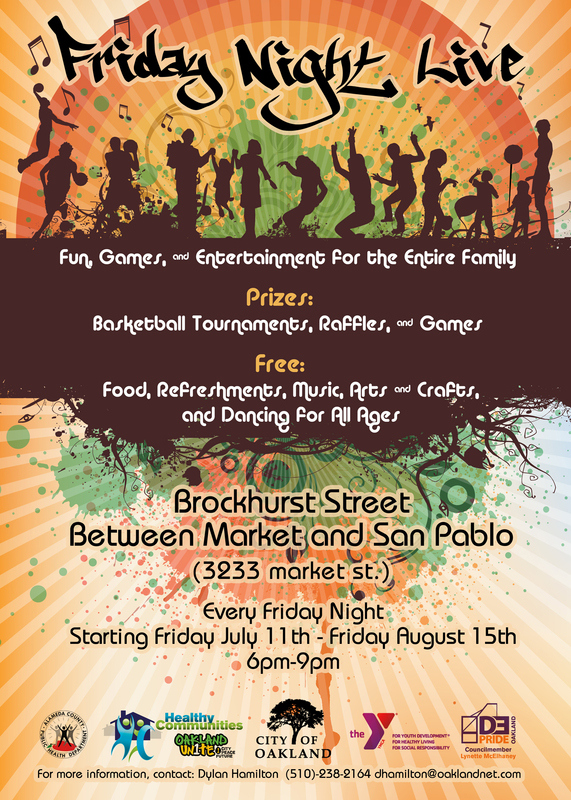 With Friday Summer Nights programs in East and West Oakland! 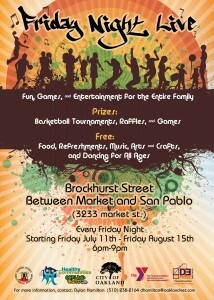 Join Oakland Unite’s Messengers4Change for Friday Summer Nights in the Park starting July 11th. There are two locations in East Oakland. 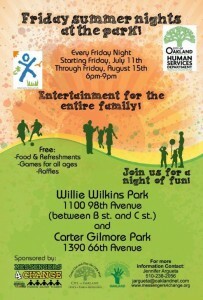 Willie Wilkins Park @ 1100 98th Ave. (between B Street and C Street) and Carter Gilmore Park @ 1390 66th Ave.
Come out every Friday between 6:00 p.m. and 9:00 p.m. from July 11-August 15th. 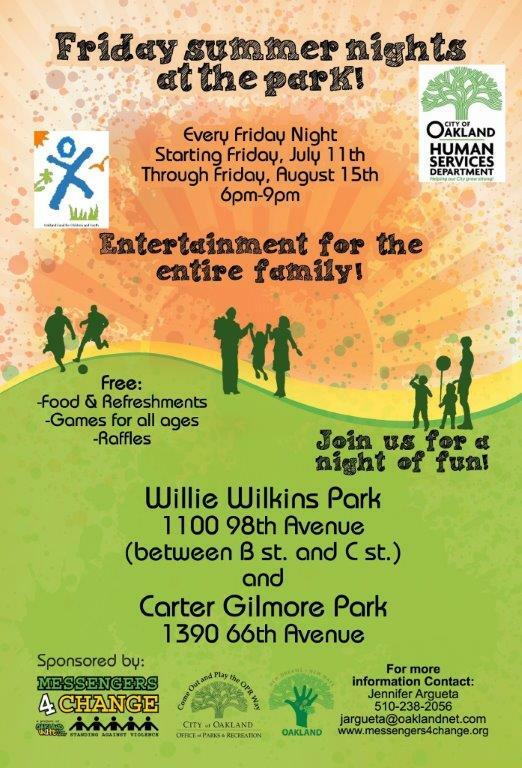 Friday Nights Live is happening in West Oakland! Come out to Brockhurst Street (between Market and San Pablo) for free food, refreshments, entertainment and raffles. For more information about these events please read the press release by clicking here.